Paramecium is perhaps the best known protozoan. It is large, foot-shaped, moves fast, spinning slowly. Has a single macronucleus. 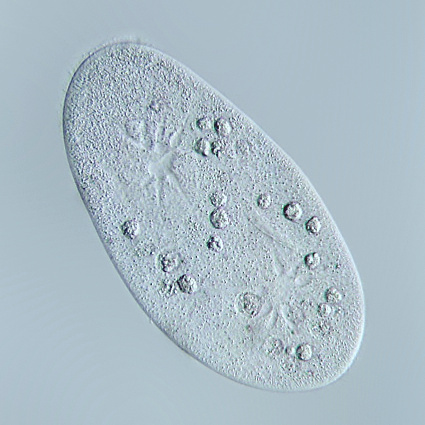 Paramecium bursaria includes green symbiotic algae (Zoochlorea).